The Medal Shows St. Christopher, St. Joseph, Miraculous and the Sacred Heart of Jesus. On the Back is the Inscription: I am a Catholic Please Call a Priest. 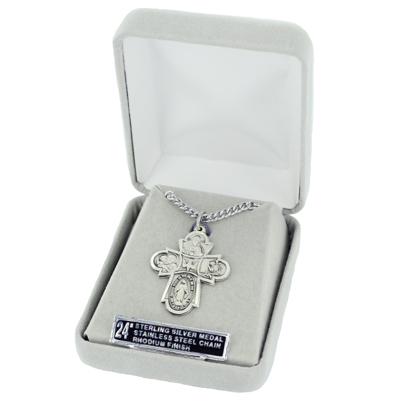 Beautifully Detailed With Hand Engraved Accents.